$225 shipped, less if you're in DFW and you pick it up. 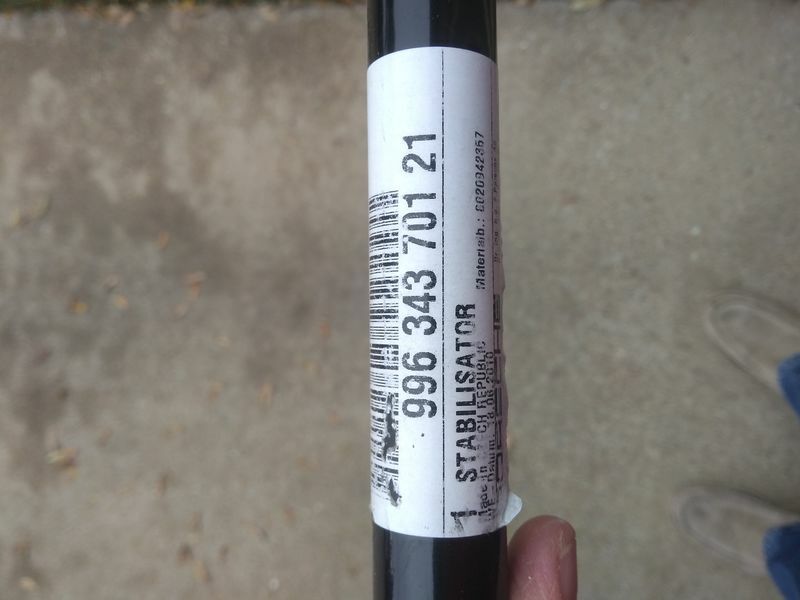 As you can tell by the part number, it also fits a bunch of 911's. Combine with a 987 rear sway bar from one of the various dismantlers and presto, M030 sway bar set! 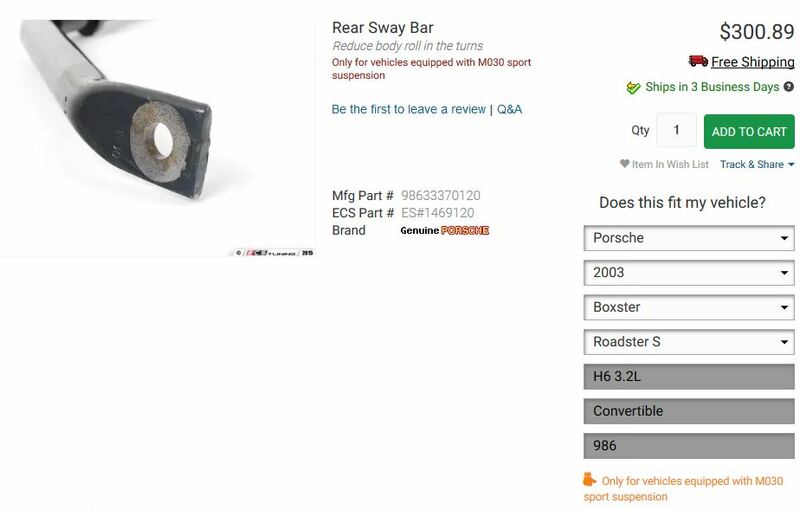 Dang missed this......987 rear sway is equal to M03O?? Part number? 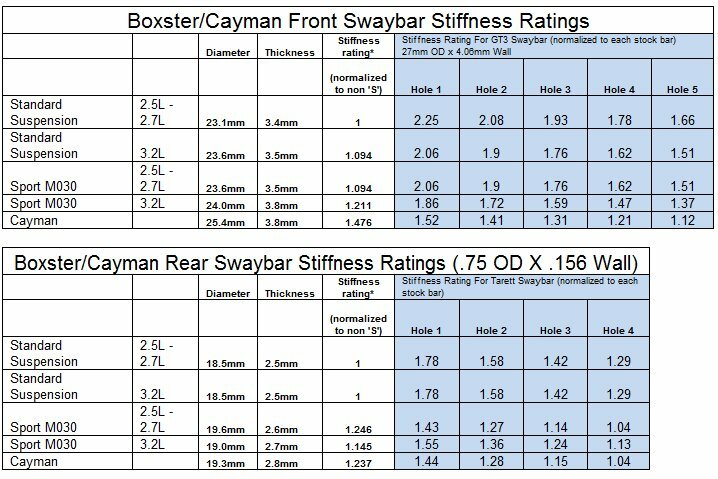 According to that chart that is floating around, the 987 rear sway bar has essentially the same stiffness as the M030 rear bar. No part number though. And the front bar is a different shape between 986/987 but back is the same shape. Thanks very much! If the 987 rear bar fits a 986 S manual trans it would be a win. I am going to harrazd a guess that it will cheaper and easier to find than a M030. Last time i checked (which was some time back) there were several on eBay at pretty reasonable. Thanks for the helpful info Steved0x. You will need different sway bar bushings also. Part number 99633379225 for a manual trans car. Last edited by KRAM36; 03-29-2019 at 07:23 AM.